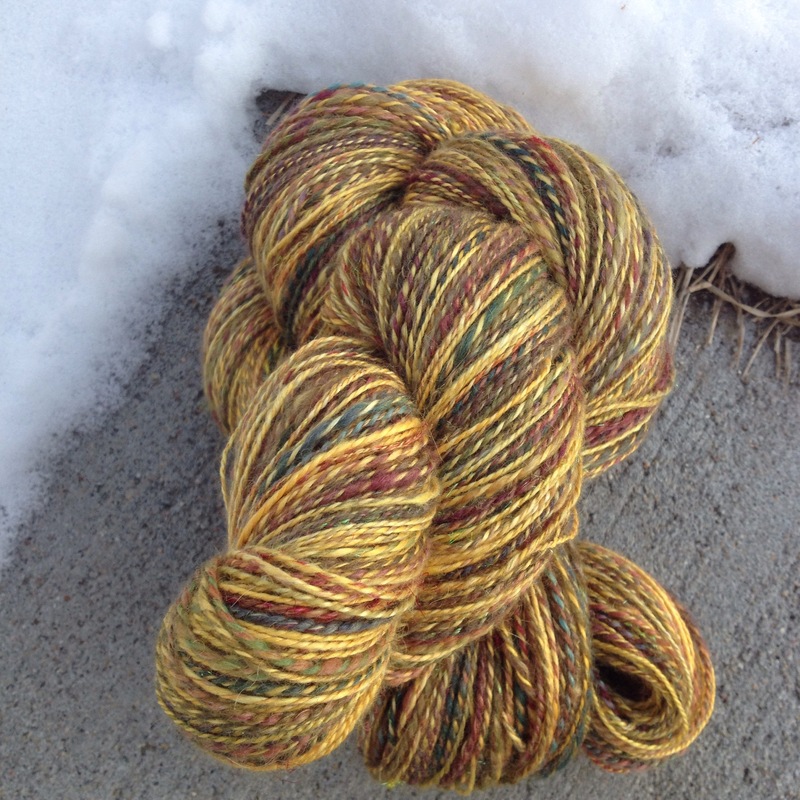 I finished up my rolags, plied them over 2 days, and am now looking at 480 yards of laceweight yarn. It’s pretty pretty stuff, mostly yellow silk with tones of burgundy and green. It’s a little bit sparkly, and has a whole lot of depth, and I absolutely love it. It was a good final project for 2014. Seriously makes me all grabby hands and yellow is so not my color. That is just amazingly wonderful. Is it as squishy as it looks? I just imagine a wonderful light and airy cloud like shawl out of this…my goodness do you create fantastic yarn! What a way to end the year, congrats.